A couple saw something in the water. As they filmed, they saw something that one sees just once in a lifetime. When I saw this video I could barely believe it. 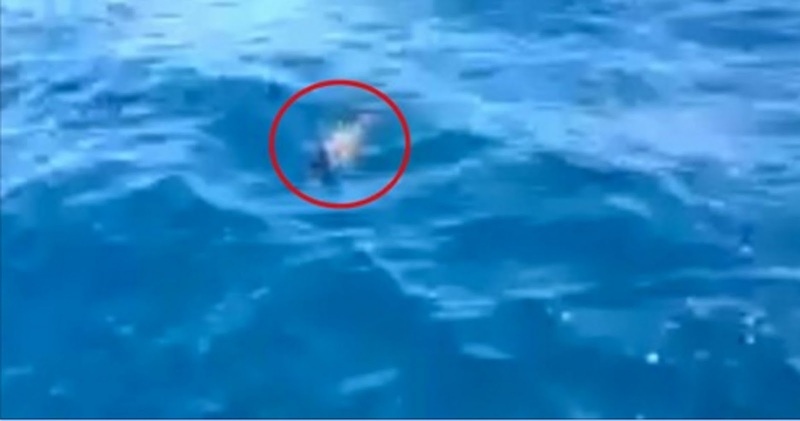 A couple sat in a boat in the ocean when they noticed something swimming in the water near them. It turned out to be a young sea-lion. The young sea-lion seems tired and suddenly jumped aboard. There he felt quite comfortable. He snuggled his head against the knee of the person filming and relaxed. This really is a rare moment. SHARE it with everyone.